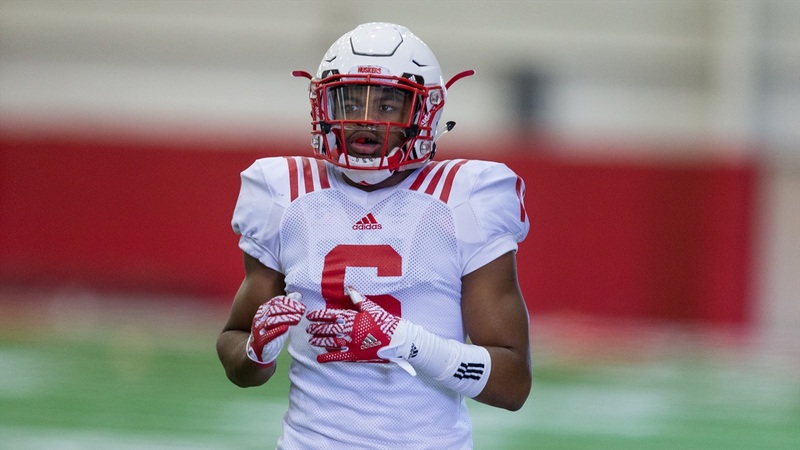 Tuesday was defense day in Lincoln following the Huskers' third practice of fall camp. It was the first chance for cornerbacks coach Donte Williams to address the loss of Chris Jones, one of Nebraska's leaders at corner and an honorable mention All-Big Ten pick last season. Jones' injury may put a little more focus on fellow senior Joshua Kalu at safety in terms of leadership, but that won't be a new role for him. The fallout from the Jones injury will mean that some players who haven’t seen much time on the field will have to play significant snaps, including sophomore Eric Lee Jr. and redshirt freshman Dicaprio Bootle. Consistency will be the key for the young corners vying to replace Jones. Lee, who got the first crack at replacing Jones during Sunday’s practice, spoke about the next-man-up mentality you have to take as a football player. >>Williams feels Lamar Jackson has made a big jump with his maturity, and that going through a rougher-than-expected freshman year was a little bit of humble pie for him. >>After talking with Jackson, he is both confident in his game and taking on more of a leadership role. That’s a great sign for this Nebraska team searching for its next crop of leaders. >>Lee feels ready to contribute to the team after getting his feet wet last season. He needed to get those first hits and tackles out of the way, but said now he feels good. >>Safeties coach Scott Booker had a good line about Drew Brown helping him sleep "4.5 hours a night instead of four" because he doesn’t need to worry about that position. >>Linebackers coach Trent Bray was very complimentary of true freshman Guy Thomas. Bray noted that he is physically ready to do what they ask and asks a lot of great questions, which is key for a young guy. >>Defensive tackle Carlos Davis thinks the defense got a nice jumpstart in the spring. Now they just need to come in focused with their heads on straight daily because they want to be great.